Madcap England 'Middle Earth' Men's 1960s Mod floral Kaftan shirt in teal. 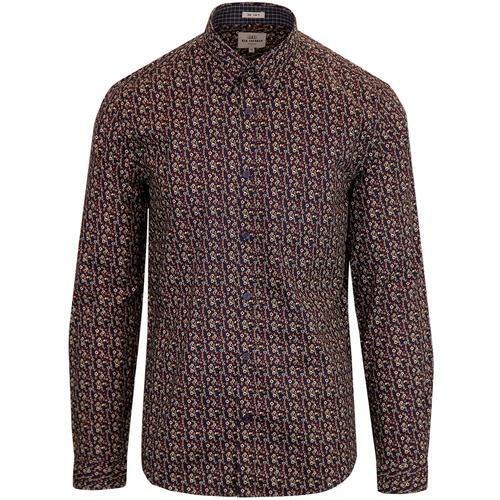 An intricate floral mosaic adds a distinctive Retro Psychedelic charm to this classic Kaftan Shirt silhouette. 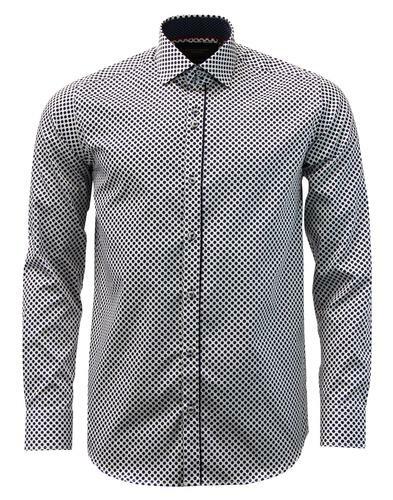 The half button placket and double button Grandad collar adds a stylish Mod vibe. 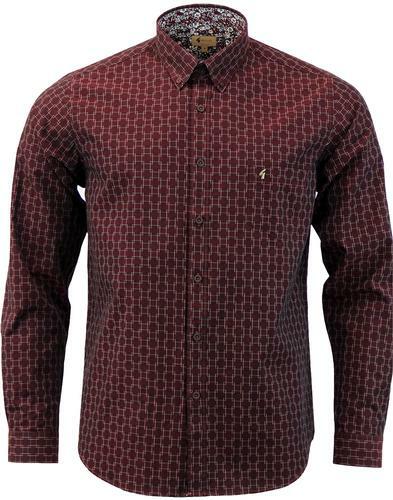 This overhead shirt style is synonymous with 1960s Psychedelia, think Syd Barrett era Pink Floyd at the U.F.O club, Carnaby Street and Kings Road boutique fashion or chilling with The Beatles in Rishikesh. 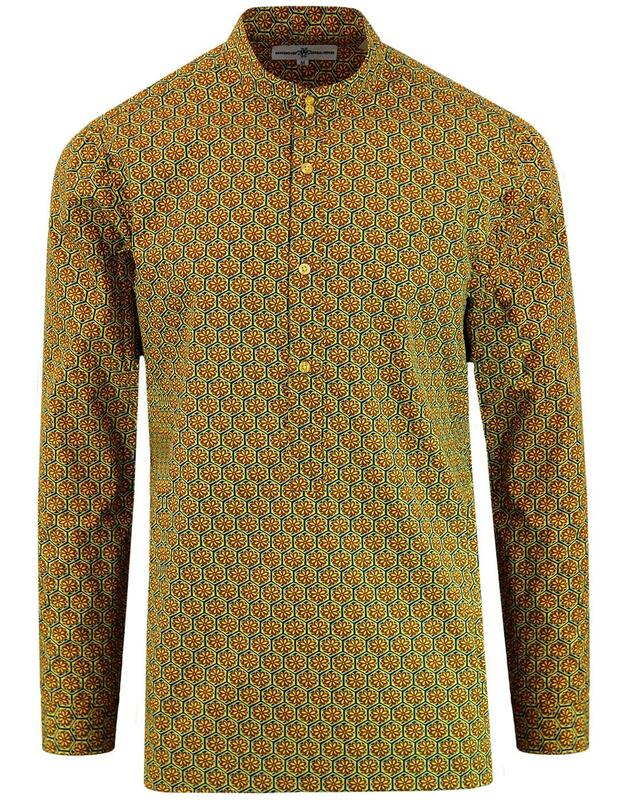 Step back in time to 1968 and the era of Transcendental Meditation with the 'Middle Earth' floral kaftan shirt from Madcap England. A Retro Clothing classic steeped in Vintage 60s style! 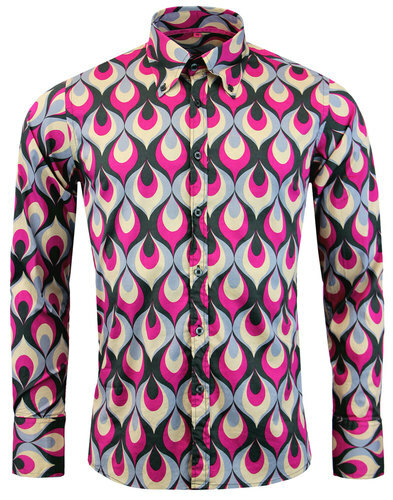 - Madcap England 'Middle Earth' 60s mod floral kaftan shirt. - Psychedelic Floral Mosaic pattern in teal, yellow and brown. 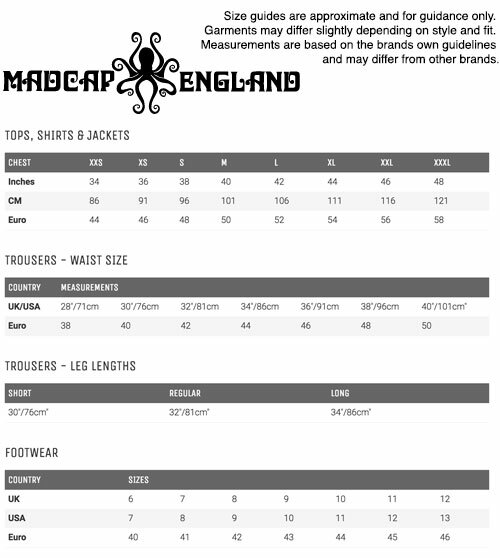 - Grandad collar (stand collar) with 2 button detailing. - Retro half button fasten placket. _ Over the head Kaftan style shirt. - Side vent detailing to aid flexibility and over teh head access. - SKU: MC378 Middle Earth Floral Kaftan Shirt.